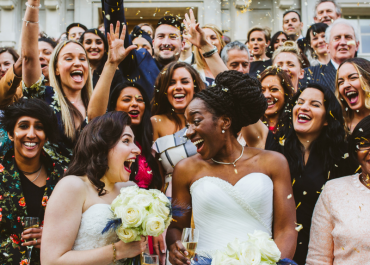 The cake is one of the centrepieces of your wedding reception, but how can you make it more so? How can you create something that will amaze your guests and ensure that your beautiful cake is marvelled at like never before? 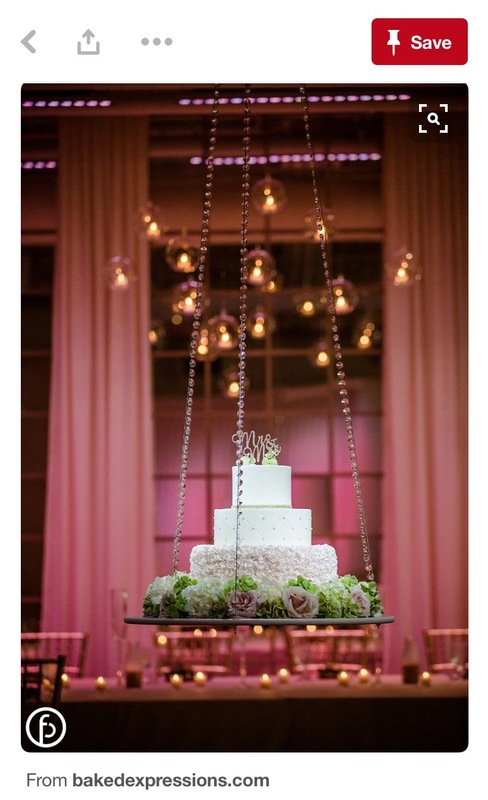 Say hello to the new trend in Wedding Cake display, suspended hanging cakes. 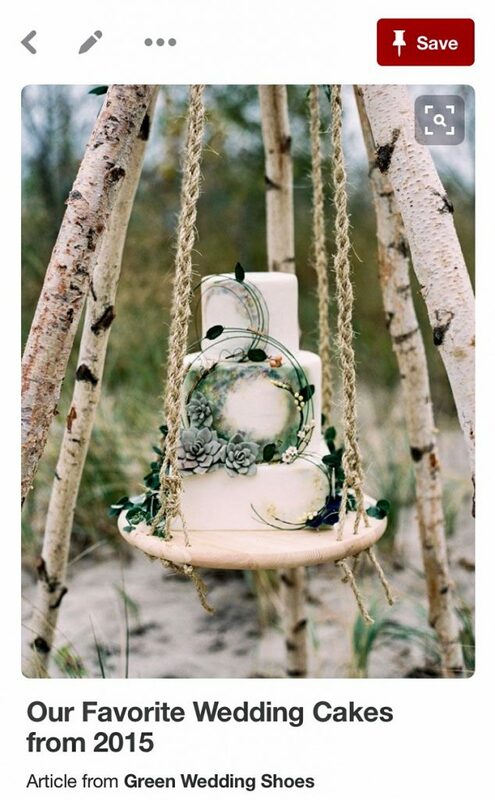 For your Wedding, why not place your cake on a beautiful (yet stable!) swing. 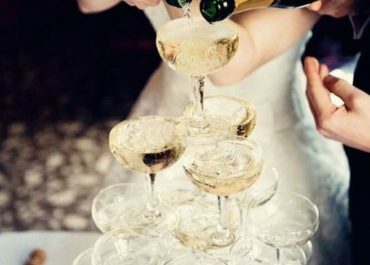 From the decadent to the downright darling, embrace the latest trend and let’s swing into action! It creates a real talking point at your reception and allows your cake to be shown off to it’s full advantage. 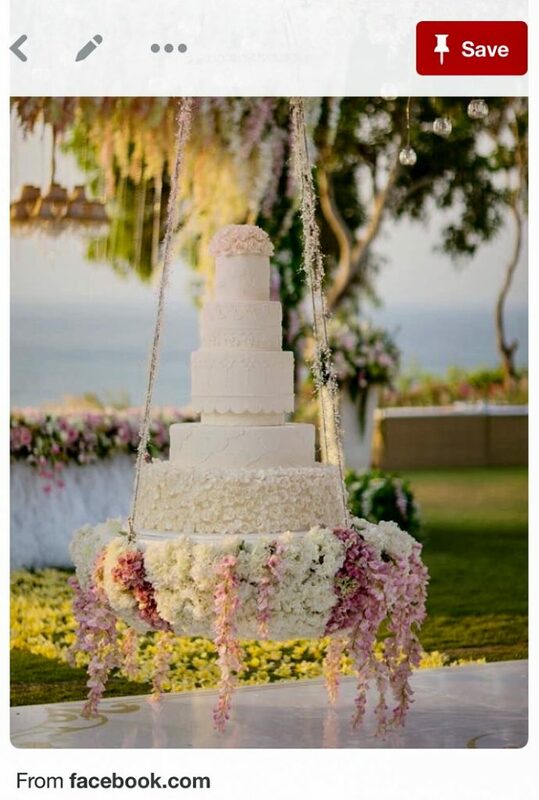 Let’s begin with an absolute knock out cake swing. 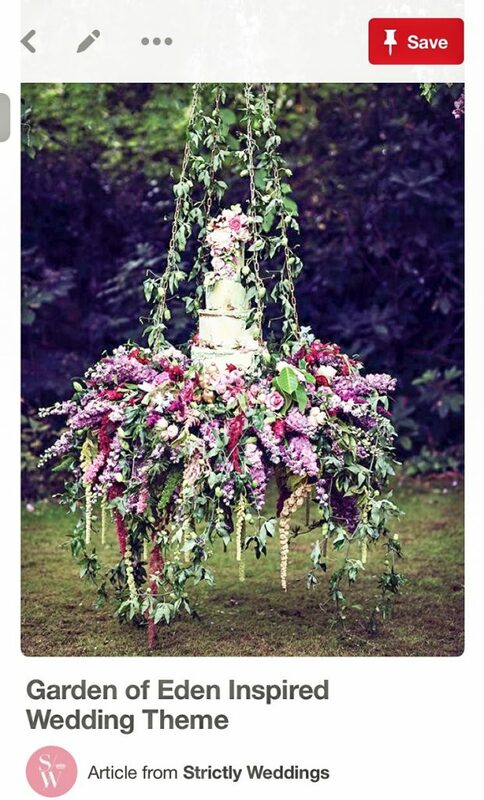 Look at the cascading floristry!? 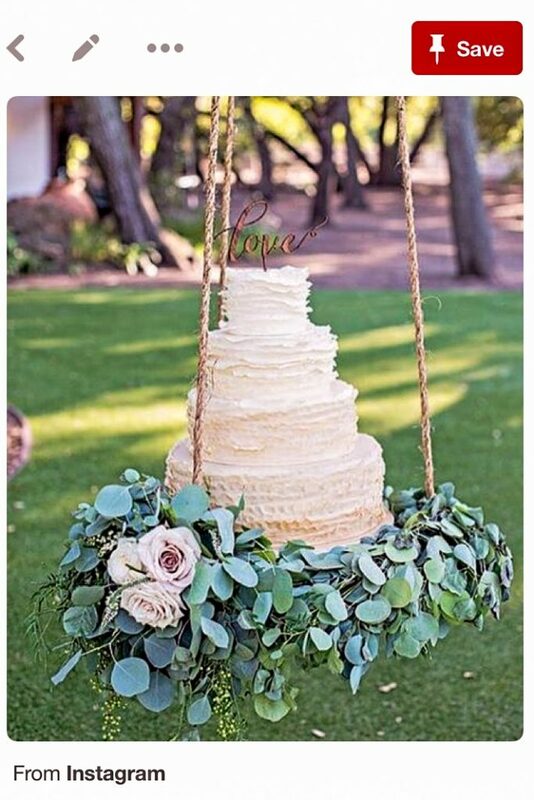 It’s overflowing with oppulent natural beauty and we just love this cake. Now, for something on the other end of the scale. 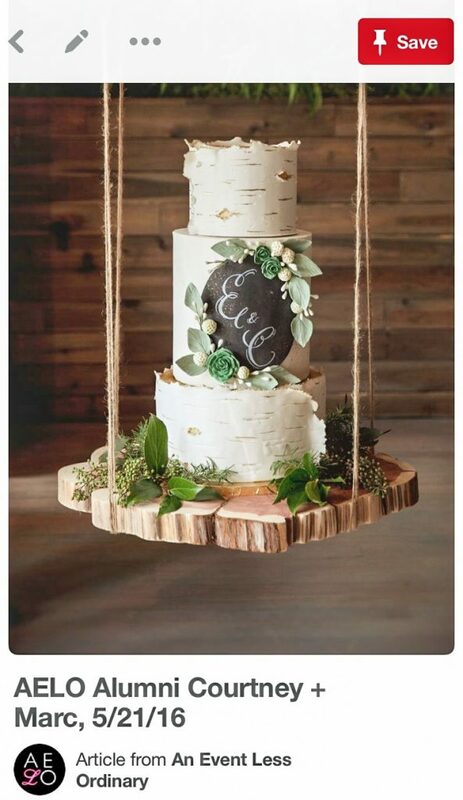 The simplicity of this natural cake, supported by the birch trees trunks and the rope is so very lovely and pretty. 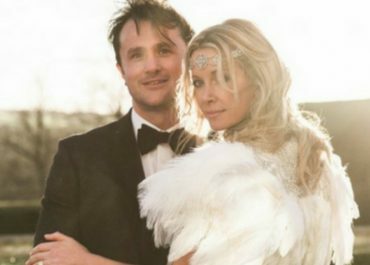 A styling marriage made in heaven. What about something in between? 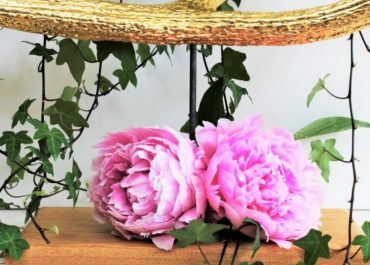 Simple rope ties support a bed of pink and white blooms. So pretty. 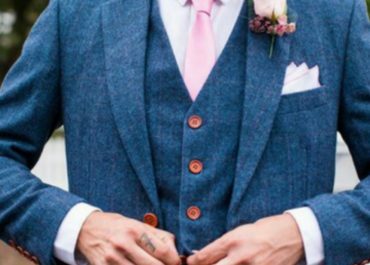 We love everything about this look. Love the thick wooden base, so rustic yet so elegant. This perfectly matches the paired back style of the cake and the subtle foliage adornments are the perfect finishing touch. This might be our favourite. We’re suckers for eucalyptus at the best of time, but this with the white and lilac roses is too much. This dusky palette makes our heart sing. It helps that the cake is super gorgeous too. 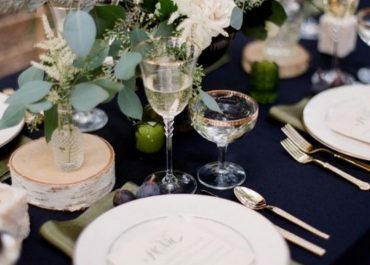 All the cakes we’ve shown have been for outdoor weddings, but this trend works just as well for an indoor affair. 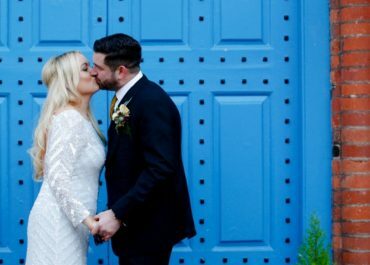 Logistically, you need to work with your venue closely if this is something that you want, but it does add a spectacular centrepiece and a real sense of drama.